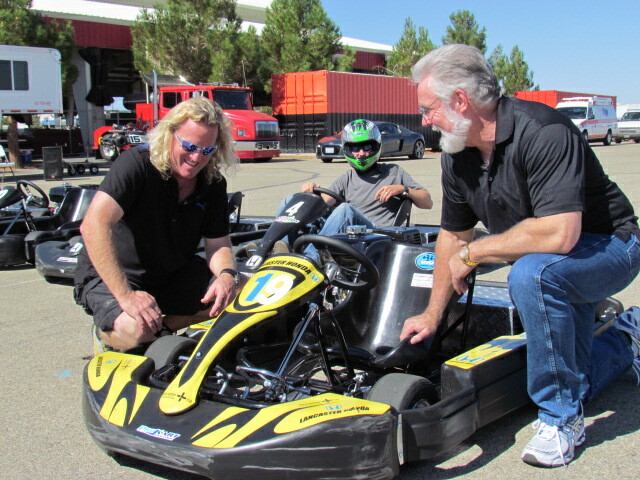 Members of the media test drive the go-karts at the AV Fairgrounds Tuesday. 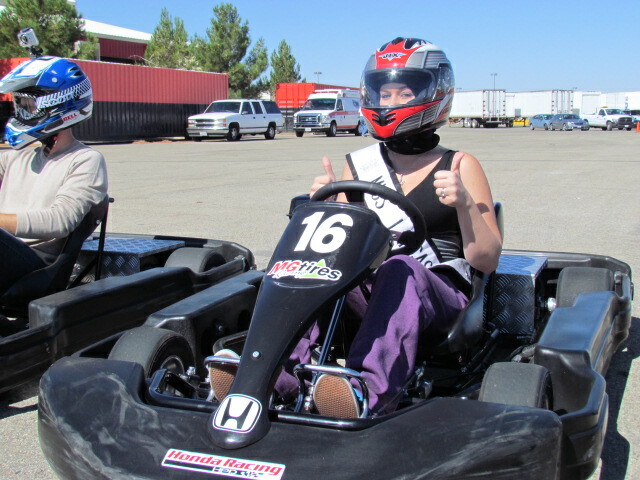 Ms. Lancaster, Sidney Roth, took to the track at the AV Fairgrounds Tuesday. LANCASTER – In nine days the City will host its 3rd annual Streets of Lancaster Grand Prix, and City officials say races will be an all-out brawl to the finish line. The City held a press conference Tuesday at the AV Fairgrounds to announce details of the Grand Prix, which will take place from Friday, October 7th through Sunday, October 9th on The BLVD. The Grand Prix will feature professional go-kart racing for all ages, as well as a street festival, a car show and live entertainment. 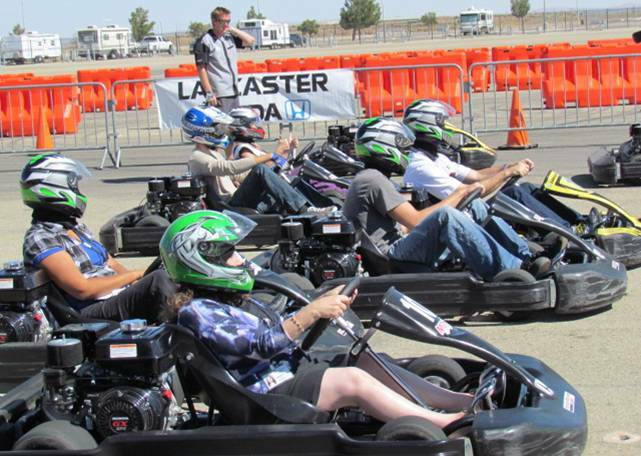 Organizers say more than one hundred go-kart racers from across the nation will race through downtown Lancaster at speeds of up to 100 miles per hour. The event will also feature competitive racing between City officials and community organizations, including the Mayor’s Gold Cup, a race between the Mayor and City Council members; the Faith Race, a race between various pastors; the Guns and Hoses Race, a race between the Sherriff’s and Fire Departments, and The BLVD Champ Series, featuring the winners of all other races. The Grand Prix will also showcase racers in numerous professional race classes. For more information on the Streets of Lancaster Grand Prix including a schedule of events and races, visit www.streetsoflancaster.com.